The O'Callaghan Stephen's Green Hotel boasts a choice of rooms and suites in a lovely spot right across from St Stephen's Green. Accommodation includes 89 lavish en-suite guestrooms and 10 suites, all designed for maximum comfort and relaxation. 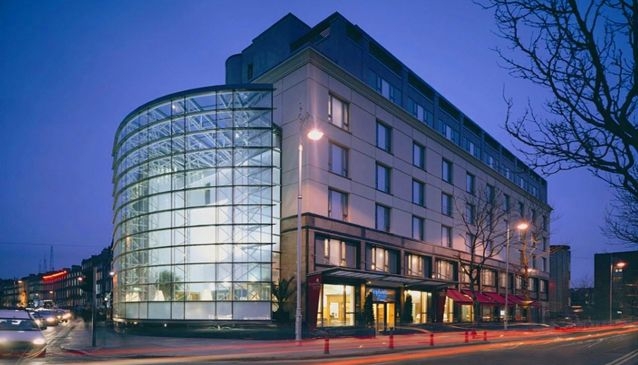 The fourth O'Callaghan Hotel in Dublin, Stephens Green Hotel is a deluxe 4-star hotel offering a fusion of stylish, modern interior design and old world charm. Located only a two-minute walk from Grafton Street directly on the LUAS line, it's perfect for conducting business in town, or shopping trips in the city and Southside suburbs. The modern glass facade belies the Georgian features inside the building. The hotel is made up of two magnificently restored Georgian buildings - one was home to the great Irish playwright George Fitzmaurice, while 4 Harcourt Street was the birthplace of Sir Edward Henry Carson (Lord Carson), an Irish unionist politician, barrister and judge.